JJ Bean Railway at 460 Railway Street is a member of the Recycle In Strathcona program. This program is a Strathcona BIA partnership with zero-waste service provider Recycling Alternative and pedal-powered Shift Delivery that offers cost-effective and customized recycling services for SBIA members. JJ Bean Railway significantly increased their recycling efforts in the last year! Their participation in the Recycle In Strathcona program helped make this a smooth and easy process. 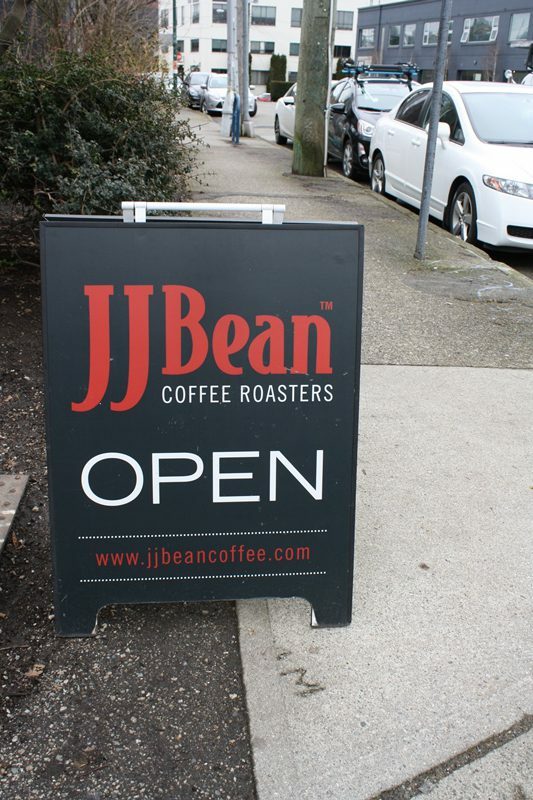 Many of us are familiar with JJ Bean?s tasty locally roasted single-origin and blended coffees that you can find all around town. Lesser know is that they also make all of their own delicious food. The Railway St. cafe location is home to the company’s commissary bakery where all the food production happens. 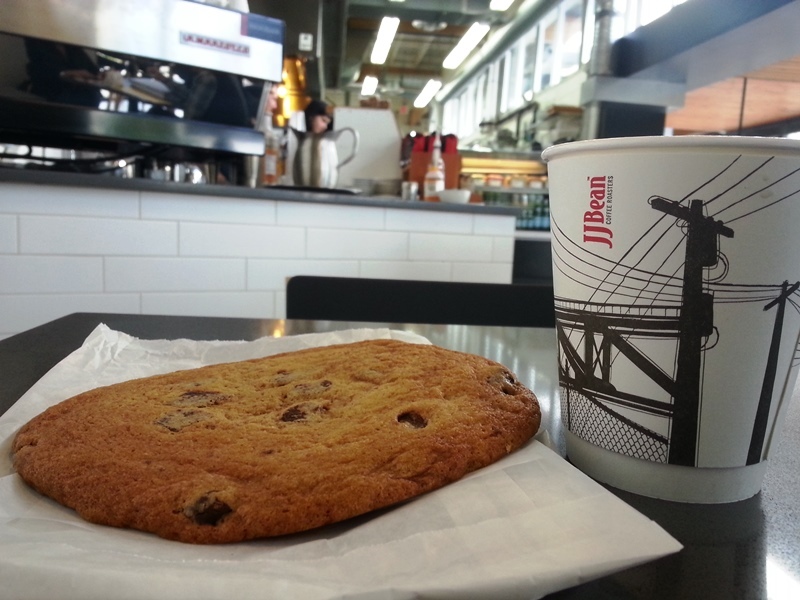 The batters for all of their muffins, cookies, and croissants are made in Railtown and then delivered to JJ Bean cafes across the city to be made fresh on site. With the expansion of new JJ Bean caf? locations last year, their food production volume increased a lot. This also meant a lot more material waste in the form of organics, cans, other metal, tetra packs, and plastic wrap. Tim Casey, JJ Bean’s Retail Fleet Manager, says at their production bakery they are trying to recycle as much as they can. They used to make extra trips to the recycling depot to divert hard to recycle materials. The Recycle In Strathcona program has helped make things a lot easier by streamlining everything. Now that all of these materials are picked up by Recycling Alternative it?s saving them a lot of time. Tim has found the program to be really flexible. It was easy to increase pick up for certain materials as they expanded production. Before, materials like plastic wrap sometimes ended up in the trash. Now it’s all being diverted with reliable multiple-day weekly pick-up. He likes that if issues arise Recycling Alternative is quick to communicate and act on them. JJ Bean prides itself in their commitment to being an environmentally friendly coffee roaster, and Tim says the Recycle in Strathcona program definitely increased sustainability efforts for the whole company. More locations are soon to start recycling things like soft plastics as well. When Tim learned about the additional on-demand collections available this year, he was already thinking about ways to incorporate light bulb and battery recycling into their waste management efforts. Tim would absolutely recommend this program to other businesses in the neighbourhood.